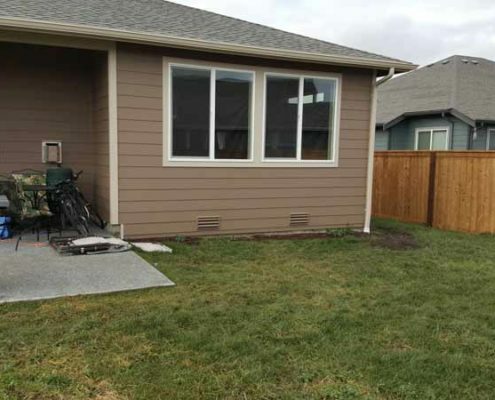 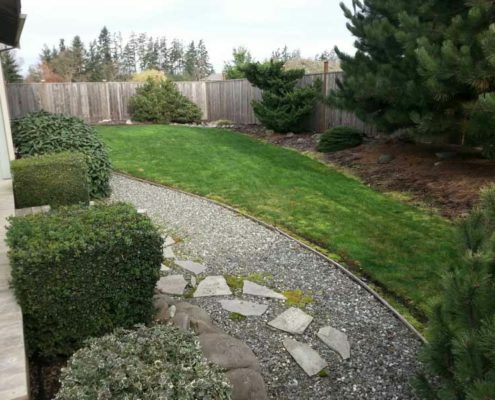 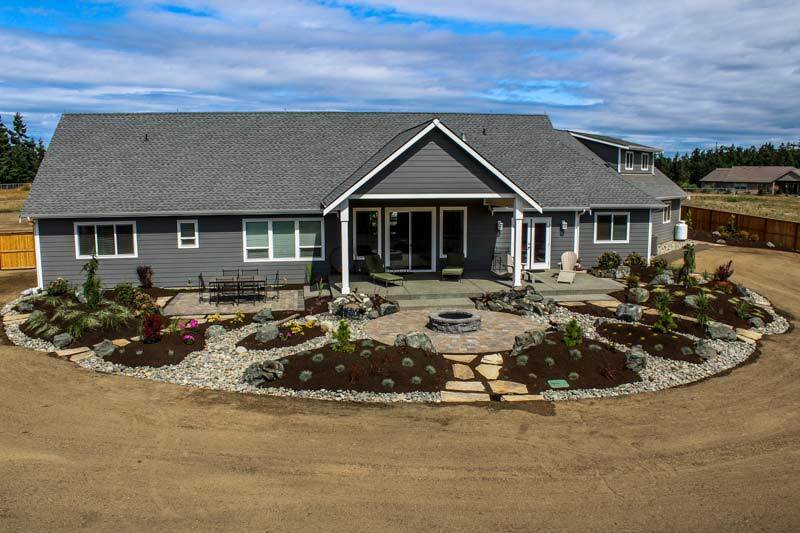 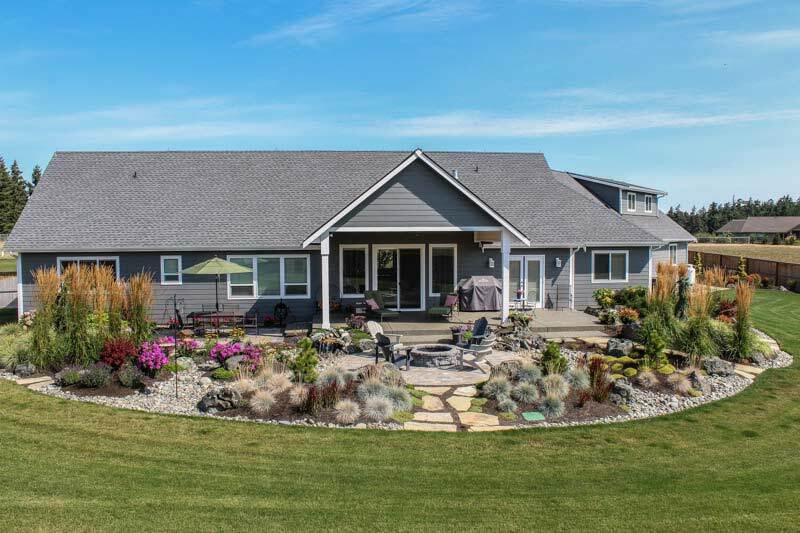 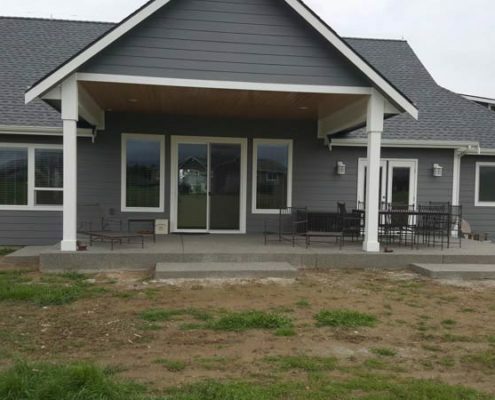 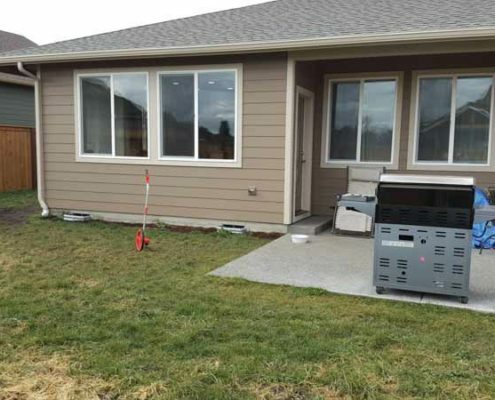 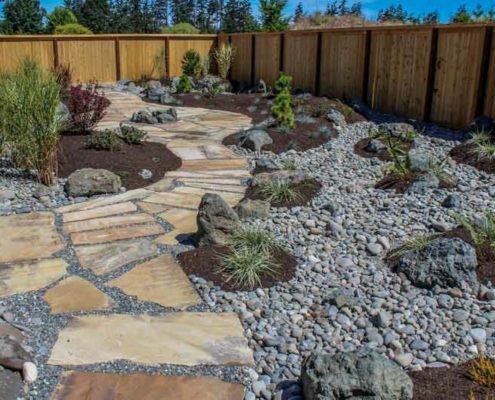 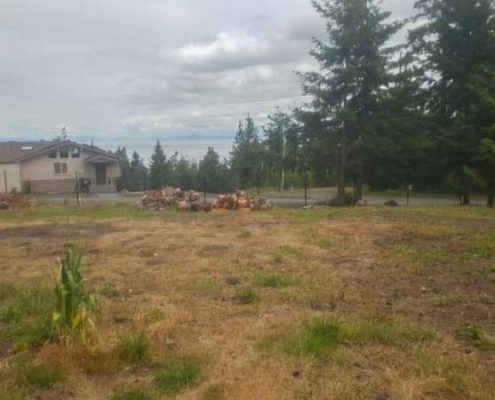 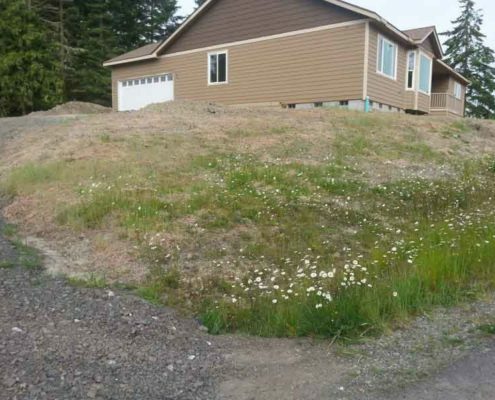 Perhaps the best way to show you why we are considered the best landscaping company in Sequim and the entire Peninsula is to show you some before and after examples of our work. 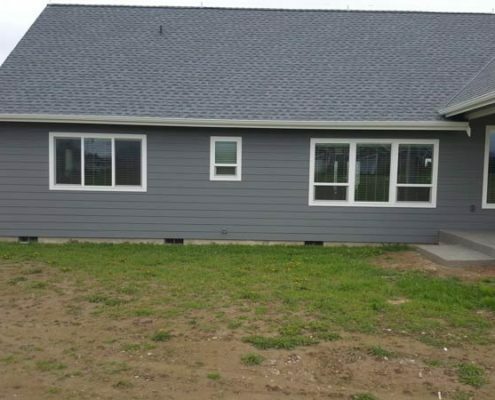 As you can see from the images below, we are in the physical transformation business. 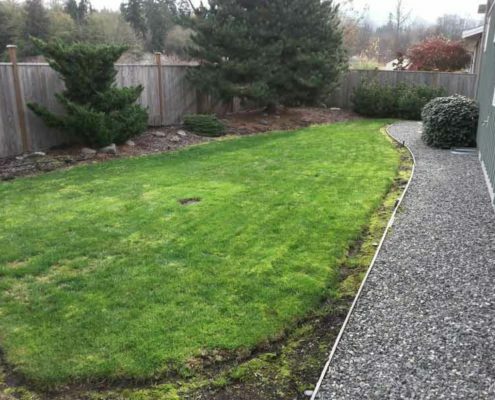 We take old, tired and bare grounds and give it life. 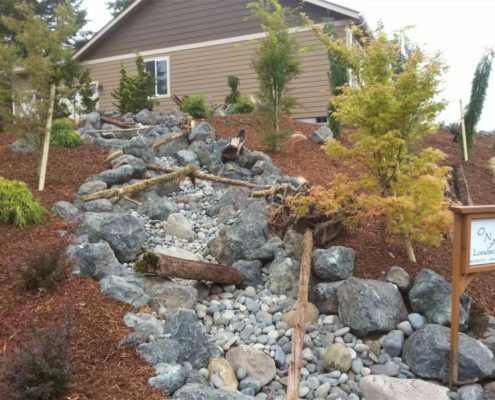 It’s what we do and we are the best landscaping company in the landscaping business. 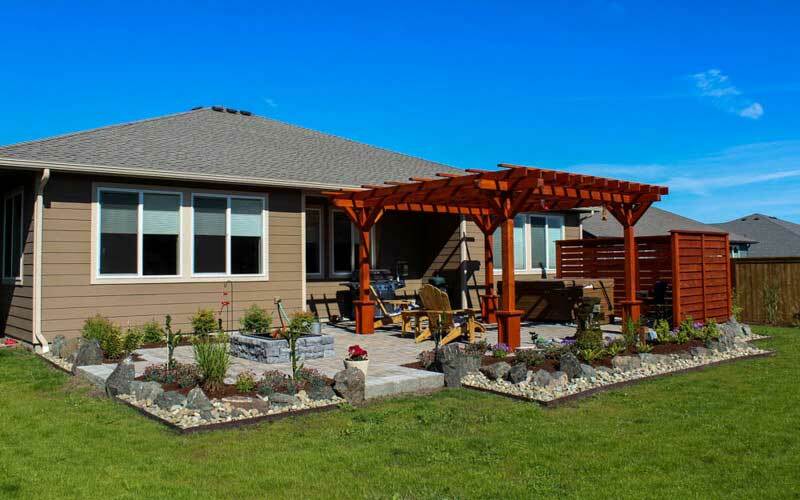 Call us today for your free consultation. 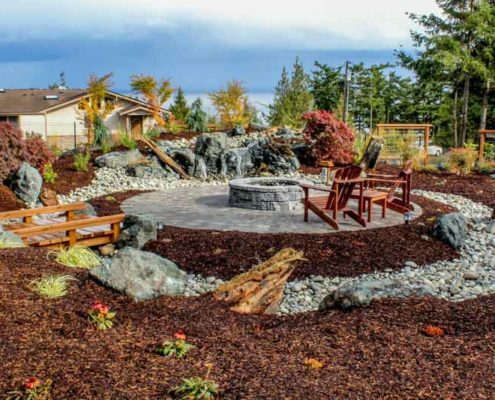 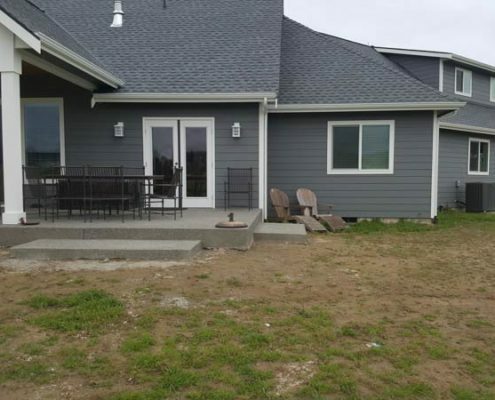 Including a Paver Patio, Modern Style Fire Pit, Pergola, Windscreen, Hot Tub Pad, Balance Rock Water Feature all surrounded by Planting Beds. 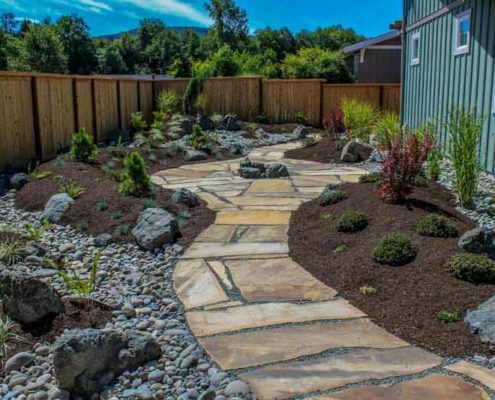 With Dry Riverbeds throughout and a Low-Maintenance, Pondless Water Features.